480-456-8888 | Let Us Overseed Your Lawn & Turf This Winter! Lawn Seeding Occurs When Weather Temperatures Are At An Optimal Degree. 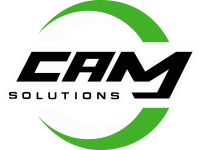 Our Experts At CAM Solutions Are Trained To Know The Best Time Of Year When Temperatures Are Optimal And An Ideal Time For Lawn Seeding Otherwise Known As Turf Overseeding. The Turf Overseeding Process Begins By Mowing At A Lower Length (Scalping). Scalping Prepares The Area For Turf Overseeding By Allowing Seed To Find The Ground When Spread. Scalping Occurs Throughout Several Weeks Before Overseeding By Lowering The Mower Heights And Eliminating The Growth. The Lawn Seeding Ensures That Your Lawn Remains Green, Thick, And Healthier With Grass Cover. Overseeding Is Good For Long-Term Health And Vibrancy Of Your Lawn And, As Part Of Regular Maintenance, Can Actually Do More To Improve The Quality Of A Lawn Than Almost Anything Else That Can Be Done. At CAM Solutions, We Use The Appropriate Amount Of Seed For Your Lawn During Lawn Seeding. Our Professionals Will Choose The Seed With The Best Compatibility For Your Lawn To Ensure A Healthy Lawn. When Applying Lawn Seeding, Our Experts Advise Using Multiple Directions Of Spreading Seed Crossing Over One Another To Ensure Proper Coverage. We Will Ensure That Proper Techniques Are Followed For Best Results When Turf Overseeding. After Seed Has Been Applied To Your Lawn, Our Professionals Suggest That Watering Frequencies Need To Be Set Until Germination. Overwatering Can Also Be A Problem, Which Must Be Adjusted. When Germination Occurs, Watering Times May Be Lowered And Then Can Return To A More Normal Watering Duration. Our Experts Will Make Sure That Good Irrigation Techniques Are Followed For Best Results When Overseeding. Those Who Decide Against Turf Overseeding Will Allow Their Lawns To Go Dormant. CAM Solutions Recommends Using A Weed Control Pre-Emergent During This Time To Eliminate Weed Populations. With This Proactive Direction, Customers Can Expect Their Turf In The Following Season To Be Healthy And Weed Free.